Only one week until our next trivia night at the Kickin’ Caribou Pub (in the Hotel Arctic). Come out and have some fun with us in support of the ICGS. 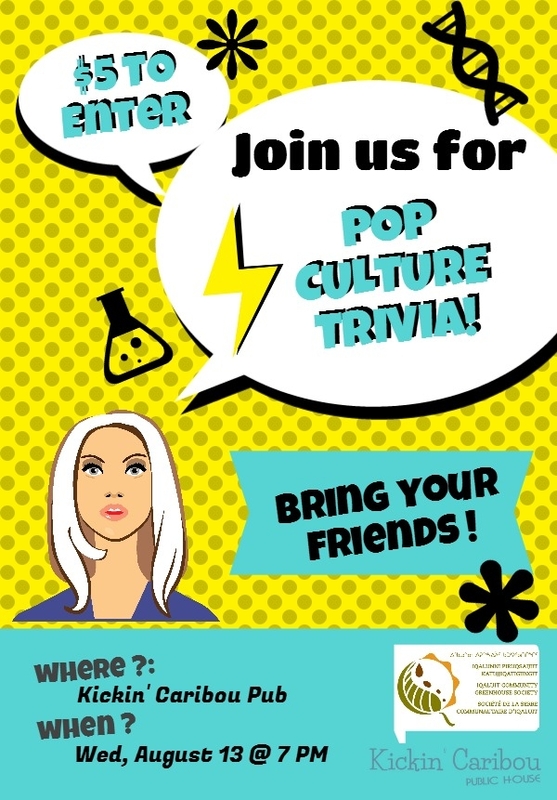 We’ll be testing your pop culture knowledge!